As a brand new class of hopeful chefs don their Masterchef aprons, we take a look at what went down in the first week, and what we can learn from their mistakes. Whilst Masterchef regular makes home cooks into celebrities from time to time, and the celebrity edition is a bit of a laugh, Masterchef: The Professionals legitimately launches careers – making professional chefs into superstars of the industry. The likes of Adam Handling, Steve Edwards at Etch in Brighton, Steve Groves at Roux at Parliament Square and Scott Davies at The Three Chimneys in Skye all received a boost from the Masterchef kitchen, and are doing outstanding things in all corners of the country today. 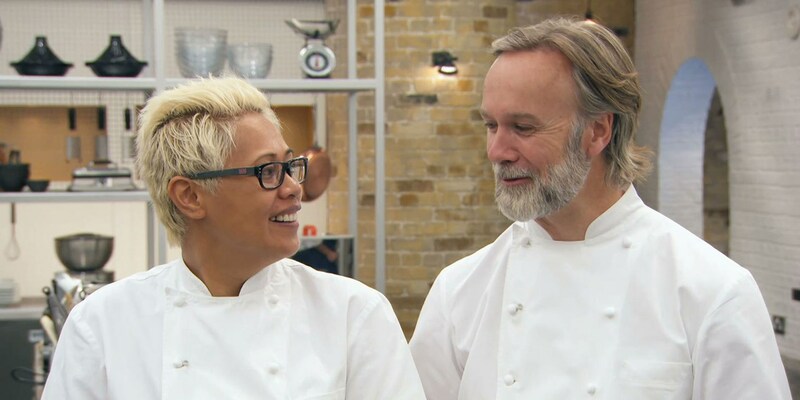 Life in on Masterchef isn’t easy at the best of times, but it seems particularly tough on the professionals – Marcus Wareing and Monica Galetti don’t pull any punches from the get go, and the series kicks off with perhaps one of the most difficult challenges of the lot – the skills test. This year the chefs have to undergo not just one, but two skills tests – one each from Monica and Marcus – and though there’s some reassurance to be found in watching trained professionals making the most basic of mistakes, boy is it nerve-wracking. Still, there are lessons to be learned here, and we’ll be picking out the most important of them week-by-week. This week, our hopeful chefs had to tackle gurnard, squid and hanger steak, and as usual they did so with varying success. Here are a few tips to take away. Squid is delicious, relatively cheap and super quick to prepare and cook, but it requires a bit of care and attention when you’re preparing it. Darren came a cropper in the skills test after not cleaning his squid properly – squid always needs to be thoroughly rinsed, the skin should be peeled from the outside and the head and quill needs to be removed before you start cooking. Take a look at our video guide right here. Callum made a good start in the kitchen, impressing Monica and Marcus with his attempt at the latter’s cauliflower steak dish. Unfortunately Callum slightly misunderstood part of the brief, making a cashew beurre noisette rather than a creamy cashew butter! The latter is even easier to make than the former – just blend your nuts in a food processor until they release their natural fats! Want to make some of your own? Take a look at some of our nut butter recipes from Pollyanna Coupland! A few of our chefs had difficulty filleting gurnard in Monica’s second skills test of the week – not necessarily a surprise, as gurnard is a particularly tricky fish to fillet, and as Marcus points out, you don’t come it very often on menus! The keys are the same as ever – let the knife do the work and don’t leave any flesh on the bones – but gurnard is an awkward shape compared to most round fish, and it pays to know what you’re dealing with. Take a look at our guide on cooking gurnard below. Marcus jumps straight into the butchery of his hanger (also known as onglet) steak, and immediately points out something interesting – it has a great big strip of sinew running down the middle of it that’ll seize up if you don’t remove it before cooking. Also be careful to remove all of the silver skin from the surface – this is connective tissue, not fat, so it’ll go tough if you cook it and won’t be pleasant to eat! Check out our handy guide on preparing onglet. Don't under any circumstances serve butter with a chimichurri sauce! Contestant Matt found himself in the ultimate Masterchef nightmare – a skills test where he had never faced any of the skills before. He did a decent job dealing with the hanger steak, but with little idea of how to make a chimichurri sauce, he found himself melting butter and blending it with a few bits of garlic and herbs. 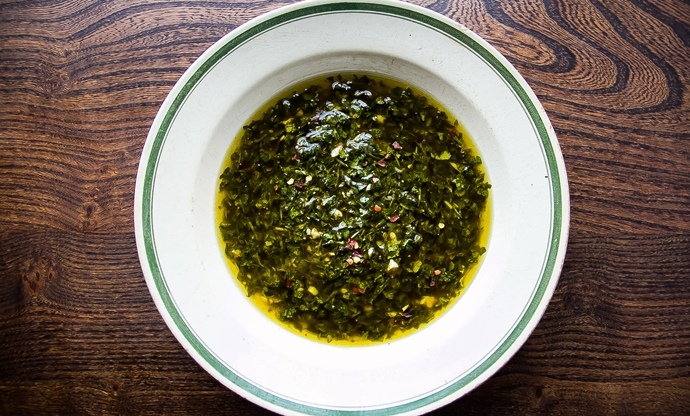 Chimichurri is a South American salsa verde of sorts – a punchy combination of herbs, chilli, garlic and oil. Find out how to make it here! Alex wowed the three judges with a perfect raspberry soufflé in the last episode of the week, with Marcus and Monica declaring it the star dessert of the round. Soufflés have a reputation for being tricky, but as long as you follow a few simple rules you can achieve great soufflé every time. Check out our soufflé guide to get started!